New Jersey won a U.S. Supreme Court case last month that cleared the way for all 50 states to offer sports betting should they choose. OCEANPORT, N.J. — New Jersey has launched sports betting. Democratic Gov. 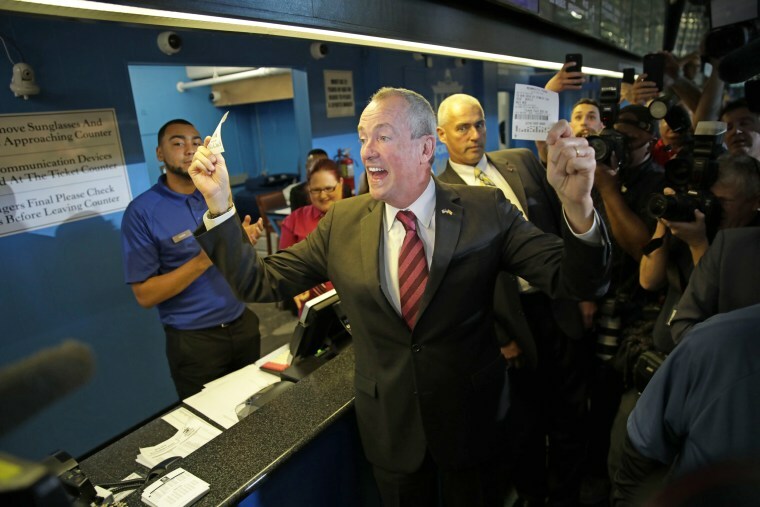 Phil Murphy kicked off a new era of gambling in the state, making the first official bets on Thursday morning at Monmouth Park, a racetrack near the Jersey shore. He placed two $20 bets — one on Germany to win soccer's World Cup and another on the New Jersey Devils to win next year's Stanley Cup. Supreme court opens door for legal sports betting, what's next? The Borgata casino planned to start taking bets 30 minutes after Murphy made his. Other casinos and tracks eventually plan to offer sports betting, but none has announced plans to do so in the next few days.